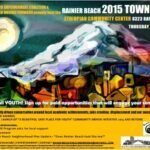 Rainier Beach Action Coalition is Hiring! Looking to engage residents and businesses? Interested in sharing neighborhood information and making resources available? As RBAC’s Outreach Coordinator, you get to be the most visible person in the neighborhood! By deploying the Mobile Discovery Center, you anchor the Corner Greeter and become the welcoming host to most neighborhood events, proudly promoting Rainier Beach! quality of life in Rainier Beach by addressing critical issues threatening the welfare of Rainier Beach residents. Looking for a part-time job while making a difference in your community? Rainier Beach Action Coalition is excited to be partnering with the Ethiopian Community In Seattle and bring the Rainier Beach neighborhood its very own farm stand. You, along with four other fellows and our farm stand manager will get the opportunity to help run the farm stand. No experiences needed but must be between 16-24, interested in community work, food justice, and fresh produces. Be a part of something new, fun and make a difference, bring your community fresh healthy foods! Looking to make a difference? Interested in learning new skills while giving back to your neighborhood? Need a job while in college or to support your family? Join the Beach 5s cohort, learn-by-doing and lead by example. Rainier Beach Action Coalition is a grass roots neighborhood development action coalition devoted to implementing neighborhood responsiveness, renewal and development, focusing specifically on the implementation of the Rainier Beach Neighborhood Plan Update. RBAC seeks to builds a connected, sustainable and equitable neighborhood, promoting the “made in Rainier Beach” concept, quality education, living wage jobs, affordable transportation and housing for all. RBAC promotes a safe place where people thrive in a neighborhood the world calls home and builds neighborhood capacity to enhance quality of life in Rainier Beach by addressing critical issues threatening the welfare of Rainier Beach residents. opening on September 15, 2018. 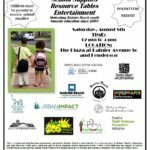 Rainier Beach Urban Farm Meeting…be there!